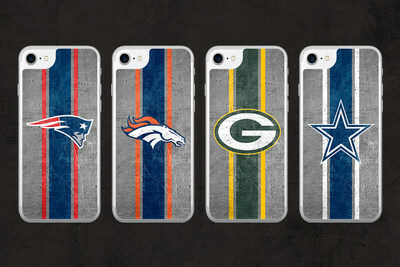 Fortify your fandom with new NFL Alpha Glass for iPhones. FORT COLLINS, Colo., Oct. 3, 2017 /PRNewswire/ -- Football season is here, bringing tailgating, passionate rivalries and the dreaded phone fumbles. NFL fans everywhere can display their team pride every day while protecting their phones with new NFL Alpha Glass featuring all 32 team logos for the latest iPhones. "NFL fans know that game day isn't the only day you suit up in your favorite team's gear," OtterBox CEO Jim Parke said. "NFL Alpha Glass lets you show off your team pride every day while also protecting your phone from tough scratches." NFL Alpha Glass, $49.95, will be available soon in all 32 NFL team logos for iPhone 8, iPhone 7, iPhone 6/6s, iPhone 8 Plus, iPhone 7 Plus and iPhone 6/6s Plus. To learn more, visit otterbox.com.